‘Had my brain rattling in my head!… genius… Sometimes my mouth fell open and a few OMG’s escaped… I loved it!’ B for Bookreview, 5 stars On a damp October day, a body is found in an abandoned hospital, too burnt to be identified, but Detective Alex King knows that every victim is someone’s daughter or son. Pushing aside her own troubles, Alex puts everything into finding the killer, but when someone else is found dead, she begins to suspect that the body in the hospital was just the first of many. Just as Alex uncovers a heartbreaking link between the victims, she finds her own safety under threat. Is this a figure from her past hell-bent on revenge, or could the murderer be even nearer than she thinks? Alex is running out of time. Can she catch the killer before they take another life, or will they get to her first? A completely unputdownable detective thriller that will keep you up all night. Readers of Robert Bryndza, Karin Slaughter and Angela Marsons will love this. 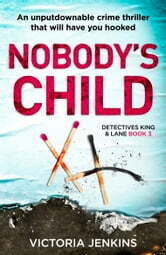 I just finished reading Nobody’s Child by Victoria Jenkins and was absolutely enthralled with it. 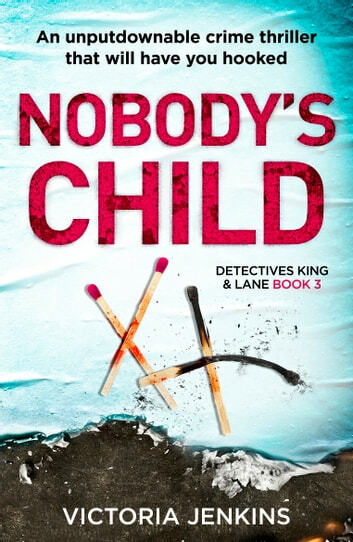 This is the third in a series of Detectives King and Lane Book who are throughout referred to as Alex and Chloe. It wasn’t hard at all to read it as a standalone but I still think I will go back and read the two previous because I liked it so much. Both detectives are very likable with Alex being the senior detective which she only refers to once when they are not really talking. Happens to all of us. The subject matter is awful but not in the way that you will hate the book but because you are constantly surprised at all the atrocities people will commit to each other. I absolutely loved the ending and would never in a million years have expected it. I have nothing but praise for the author. I will definitely recommend this book to anyone and thanks to NetGalley for letting me read this book in exchange for my unbiased review. Five stars. This is the second book that I've read in past few weeks by this writer. Not the sort of thing I would normally read but I could not put either down. Had to know what was going to happen next, the twists are fantastic, looking forward to reading the 3book off the series. Is most certainly unputdownable. Just like the previous books I was not a person to be disturbed, I could not put it down. I really liked the way the action and perspective were built up in particular.